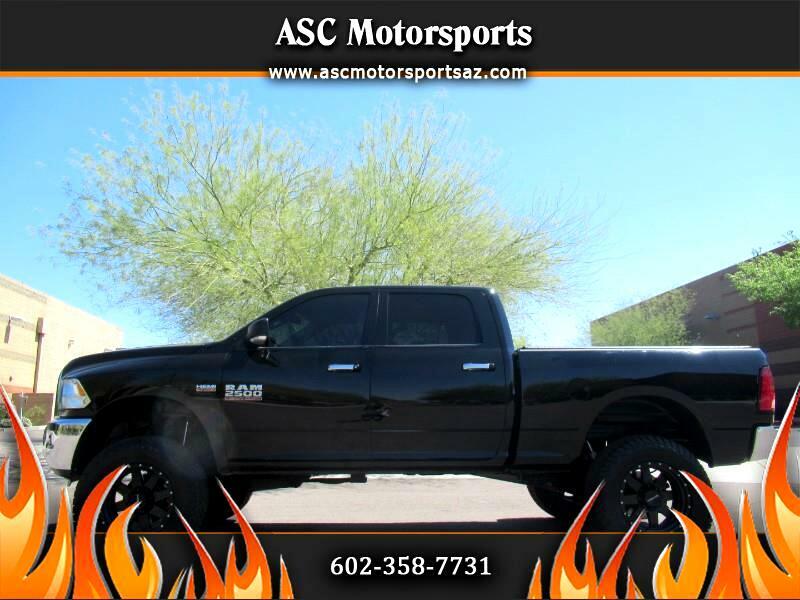 2014 RAM 2500HD HEMI CREWCAB LIFTED 4X4!!! Beautiful black 4 wheel drive truck with brown interior, 103k miles, ICE cold front and rear A/C, power windows, power locks, power steering, power rear sliding window, power mirrors, cruise control, tilt wheel, Am/FM/XM stereo, parking sensors, back up cam, tow package, tinted windows, bed cover, brand new 37" AMP tires and 20" Raceline wheels, Priced at only $25,888 + Tax, Title and Doc. Fees!!! Warranties~ All vehicles come with our limited implied warranty for your peace of mind. Extended service contacts at extremely affordable prices. Gap insurance also available. Financing~ ASC Motorsports is an approved credit union direct lender with 40 participating banks covering the entire united states, rates starting at 2.9% (O.A.C. ).